Gulf Shores beachfront condo for sale at the Lighthouse. The Gulf views from this 14th floor unit are amazing…sit on your balcony with miles of views in both directions. Watch the swimmers, the dolphin and boats that ply the coast. The amenities at Lighthouse are hard to beat, with indoor, outdoor pools, hot tubs, exercise facilities and covered parking. 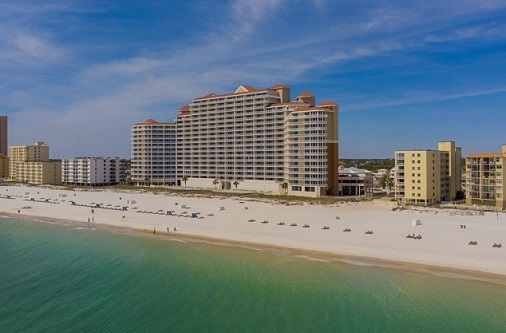 Located in the heart of Gulf Shores, the complex ideally situated being just is a short walk to shopping, dining and entertainment. Too many upgrades in the condominium to list, come see this one!